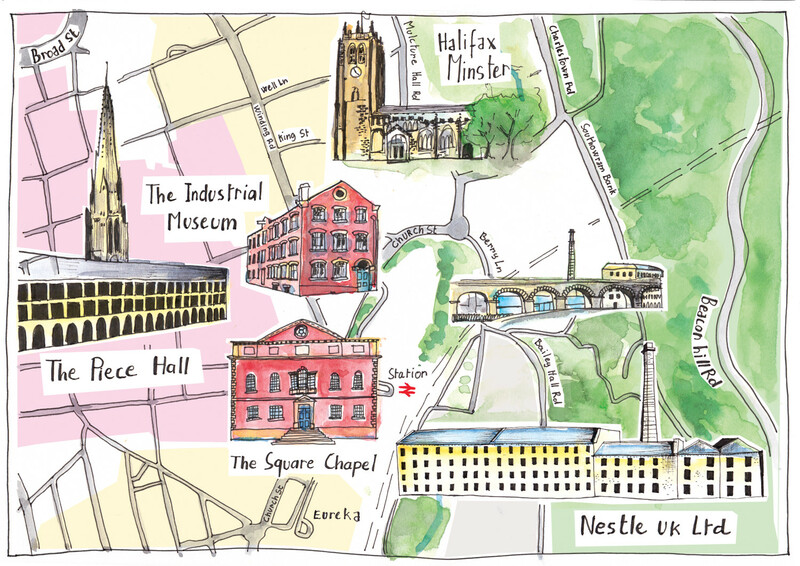 Find out about a small hand illustrated map of Halifax I created for our local Nestle factory. I recently finished a commission I have been really giddy about – a small hand illustrated map of Halifax. Ok, you might not be jumping with excitement, but I really enjoyed this project. As I live in Halifax, I felt a special connection with the landmarks and locations pictured on the map. They are all less than a mile from my house! 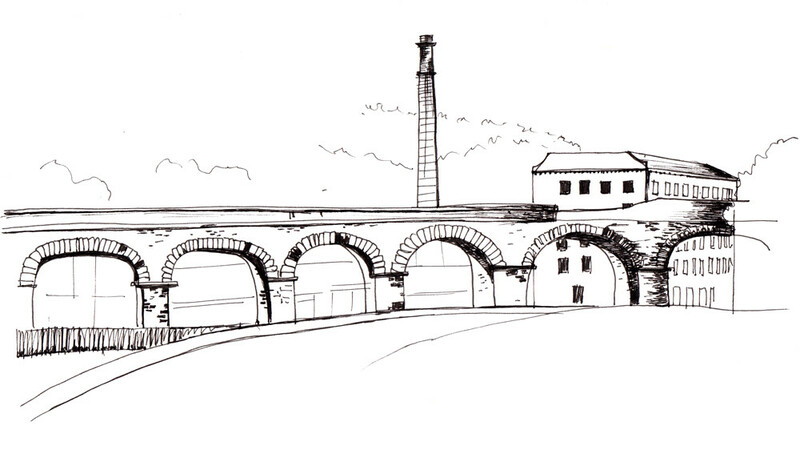 Ink drawing of the railway bridge by the Nestle factory. 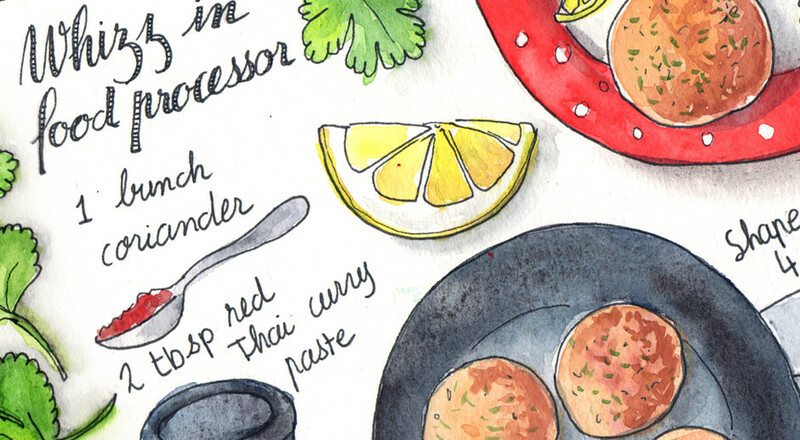 I love illustrated maps. 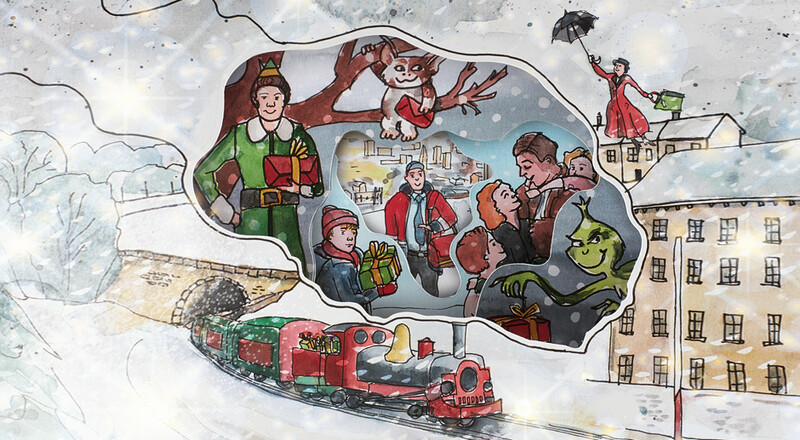 They are full of character and quirkiness and really draw the viewer in. 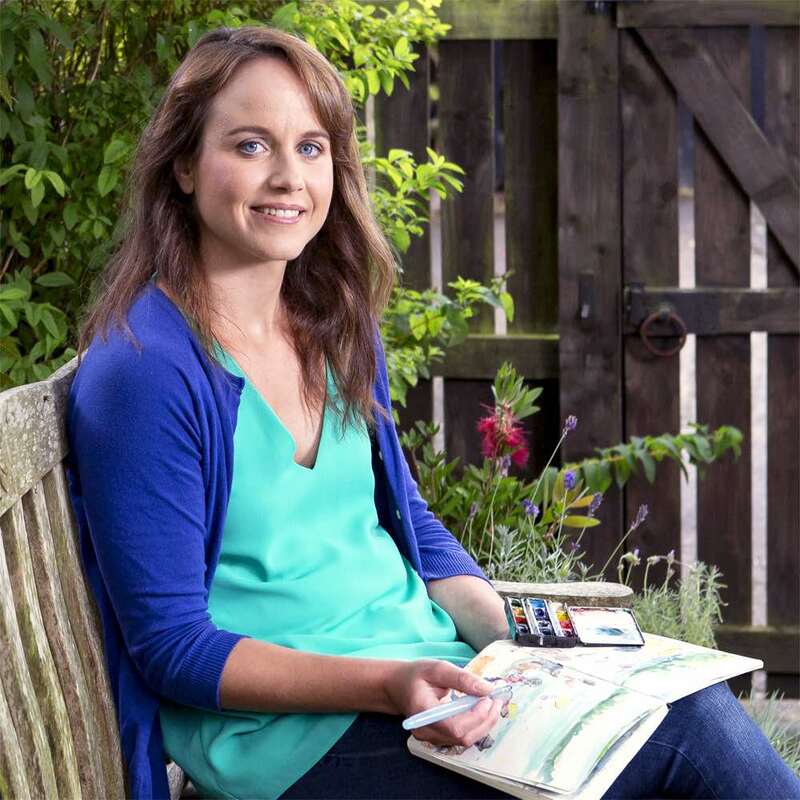 I often have a nosy on They Draw and Travel – a web site that showcases maps created by artists from all over the world. While I enjoy looking at all the illustrated maps they feature, I’d never drawn my own map. When this project landed in my inbox, I knew I couldn’t miss such a good opportunity to create my first hand illustrated map! Our local Nestle factory commissioned the project. 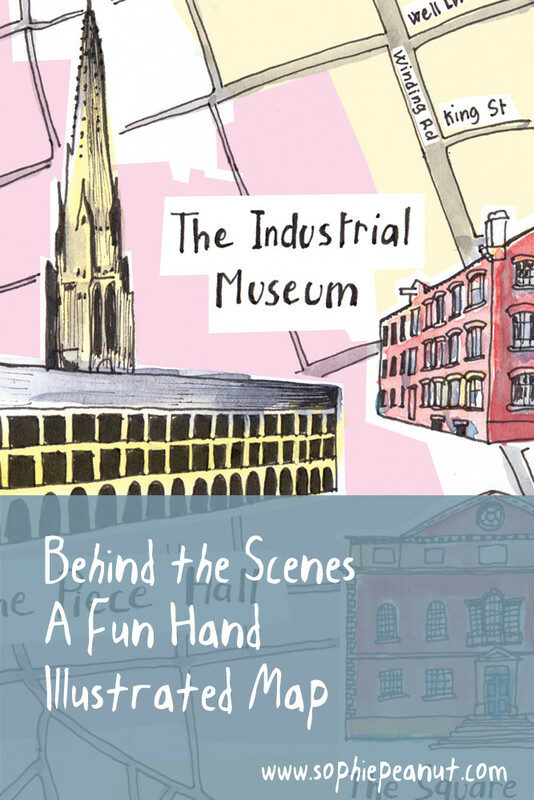 They wanted an engaging map to hand out people and staff who went on their organised tours around local landmarks. 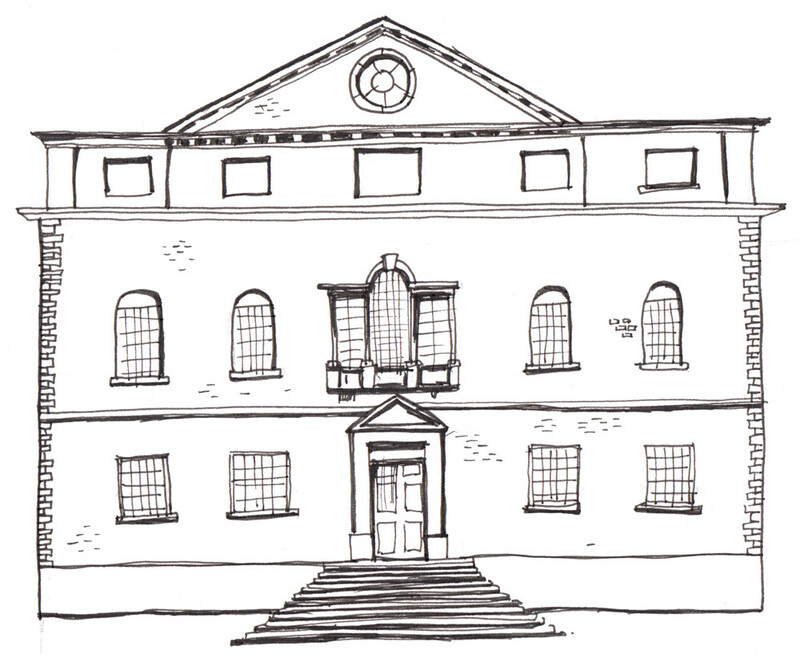 I’ve drawn 5 sites – the Piece Hall, the Industrial Museum, the Square Chapel, the Halifax Minster and part of the enormous Nestle factory. It wasn’t easy to fit them all in, as you can see they are tightly packed in a small area. The map needs to enable people to find their way around the streets, so it needed to be accurate too. 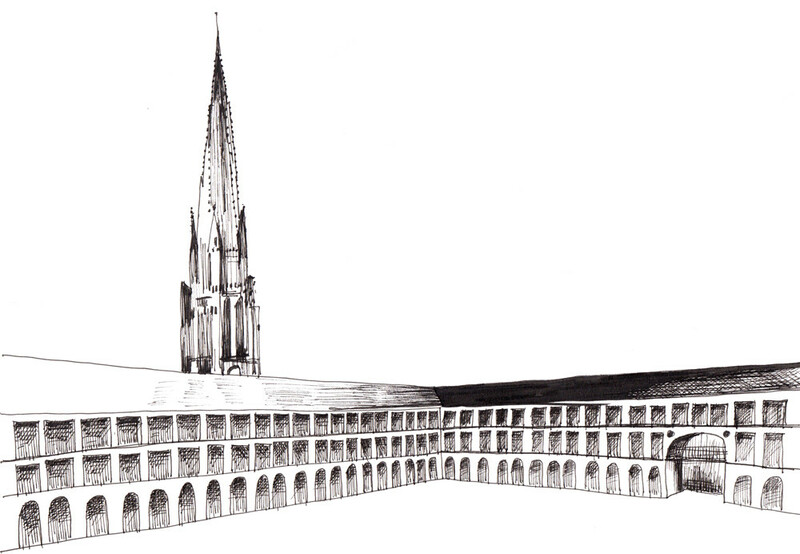 Ink drawing of the Piece Hall. I drew all the buildings and traced the streets on loose sheets of paper first. Then I scanned everything and finally put the map together in Photoshop. I had to do lots of tweaking and adjusting to get everything to fit in. But it’s done now. I hope people have fun discovering Halifax’s historical heritage with this little map (and hopefully they don’t get lost!). I enjoyed creating my first hand illustrated map. I’d love to make a more comprehensive map of our town. Maybe a map, I can turn into prints. What do you think? Halifax is a beautiful city with so many lovely people. 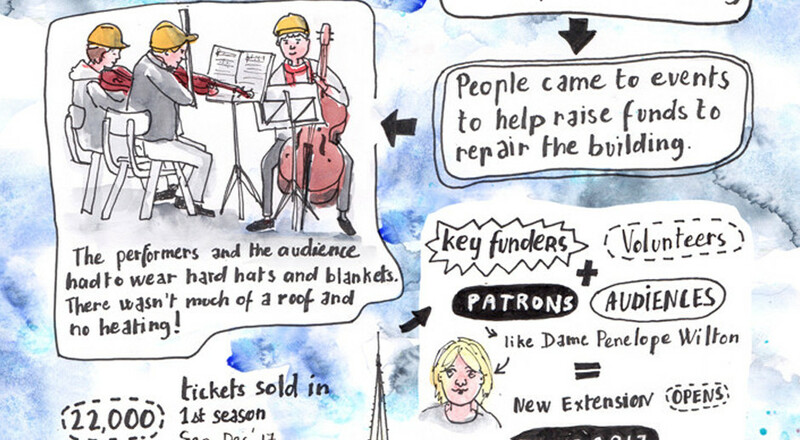 I love your illustrated map – it’s perfect for a city with such a rich history. I hope to get back there someday.